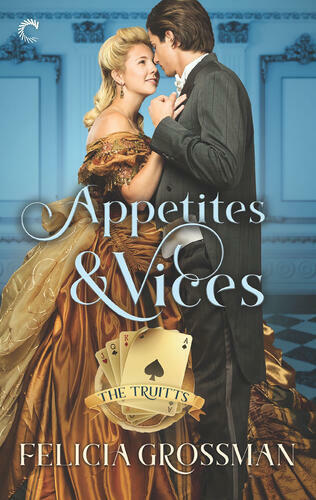 Appetites & Vices appeared on my phone when I needed it most. It’s hard to explain why exactly because we all want a good book, but I needed something unexpected, I think. And the romance between the difficult Ursula and the complicated Jay fit that mood almost exactly. 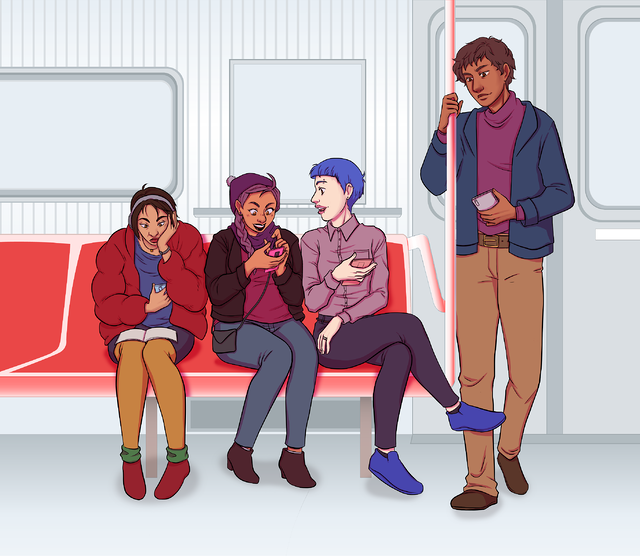 Ursula Nunes wants to marry her best friend Hugo, but his family has no inclination to accept Hugo’s marriage to a Jew and especially the socially inept Ursula. She hatches a plan to go to Philadelphia and convince Hugo’s parents that she’s amazing and an asset. Enter Jay Truitt with an idea to pretend to be engaged to Ursula to show that he’s responsible enough and also to give Ursula a bit of social polish. And obviously, things go to plan because fake engagements always work as planned, right? Before I make it seem that Appetites & Vices is all fluffy fake engagement shenanigans, I need to say that it isn’t. There are plenty of fake engagement shenanigans, but the heroine is living in a world where anti-Semitism is more common than not and the hero is battling his addiction to opium; these aspects are not shied away from, which I think is a strength. The best part about Ursula and Jay is how protective they become of each other. She storms off to defend his honor in spite of likely ruining her own reputation because she fails to see how so many people can be so consistently wrong about him. And he sees the connections Ursula is missing with other young women and helps to foster her friendship with her cousin. They are perfect complements for each other, working with and for each other. In full disclosure, I am not Jewish nor do I have any relevant experience with addiction, so when I say I think both were handled well, I have to acknowledge that I’m an outsider on those counts. The book doesn’t pretend that 1840s Philadelphia was a utopia for Jewish people. Ursula is faced with this whenever she interacts with the illustrious of Philadelphia. And when it comes to Jay’s addiction, there is no cure, only an acknowledgment that this is something that he will be trying to manage the rest of his life. If I have one complaint, it’s that Ursula lacks a true friend other than Jay for most of the book. (Related, Jay has no friends either.) One might argue that Hugo is a true friend, but I’d wag my finger at you. Hugo is okay, but Hugo is not the person you trust with your life; Ursula is someone you trust with your life (or burying a body if things take that dark turn). While I understand that this is the story of two isolated and misjudged people finding each other and learning how to be with others, I do wish Ursula hadn’t been so alone for so long especially because it is something she longs for. There is so much that I love in Appetites & Vices, and a fair amount of attention will be directed to its Jewish heroine and its somewhat unusual setting, but the simple truth is that this is a very good book. The characters are complicated and dear to my heart, and their wounds are true and honest. *Part of me wants to argue that much of romance is about two (or more) messy people finding love, which is true, but there’s something else in what I mean too. There’s a certain honesty to messy people that I think a lot of romance can ignore in favor or quirks or one bad decision haunting a character. The difficult aspects of a character become something to fix and overcome so often, instead of being something that makes them lovely and marvelous and complex. True human flaws enrich a story and a person. **A note that the second book appears to be the daughter of the Appetites & Vices couple, which my brain is being weird about, but I’ll get over it by the summer, I’m sure.